Click the button below to add the Principles of Food Law: A Food Science Perspective (Dr. Elsa A. Murano) - eBook to your wish list. For the last 4 years, I have been teaching a food law course for senior-level undergraduate students majoring in the food sciences at Texas A&M University. When I first designed the course, I was surprised to learn of the lack of any true food law textbook offerings by the publishing industry, outside of those intended for and written by lawyers. I decided to use such books as stand-alone supporting references for the lecture topics covered in class, leaving it to the students to choose whether to purchase them or not. Last semester, I was approached by several students, who absolutely loved the course, asking if I would consider writing a textbook myself. They argued that because they were majoring in food science, nutrition, agricultural economics, and other fields within agriculture sciences, the materials we had been using were too technical with regard to legal concepts and lacking in a food science perspective. Moreover, they pointed out that they were not enough like a textbook, and so, as far as they were concerned, not worth the expense to simply sit on their shelf when they could find whatever information they contained by searching the internet. Interestingly, other students in my course who were not food science majors, but who were preparing themselves to go to law school, also found the course supremely helpful while being of the opinion that the numerous legal cases outlined in the law books were too detailed and did not provide enough background for them to appreciate the impact of the court decisions. They found the course lectures very engaging while the reference books were left on the shelf, relegated to encyclopedic status. Their arguments made a lot of sense to me. Personally as a food scientist, I had become exposed to food law early in my career, and found no resources that successfully bridged the two disciplines. Years later, when I served as Undersecretary for Food Safety at the U.S. Department of Agriculture (USDA), I found myself hungry for information that would help provide the historical context relevant to the food safety regulations my agency was drafting. Fortunately for me, I was able to count on a team of lawyers and regulatory experts at USDA that made the learning possible and very accessible. This created a love of food law within me, which I have tried to impart on my students ever since. So, as a result of the discussions with my class, and my own experiences in charge of a regulatory agency of the federal government, I decided to embark in writing a textbook that would be geared toward undergraduate students at the senior level in the food sciences and related fields, but which would be also useful for those students who may be interested in attending law school. Moreover, I made the conscious decision to make this book as up-to-date as possible, given the ever changing landscape of laws affecting both consumers and the food industry, something that unfortunately is not possible to attain by reference books, but which is easily doable in the age of electronic textbooks. The book is arranged in twelve chapters, each dedicated to an important topic in food law, designed so that each chapter builds on the information presented in the preceding one. Each chapter consists of an introduction, several topical sections, conclusions, and a list of references for further study. Within each chapter, relevant case law is presented, designed to help students learn how laws are applied, how decisions are rendered, but also to realize the importance of using logic in presenting persuasive arguments in a court of law. Finally, the information is presented in a way that does not overindulge in legal terms but which seeks to strike a balance between the need to learn proper terminology while remaining easy to understand by students outside the legal profession. A graduate of Florida International University (B.S. in Biological Sciences) and Virginia Tech (M.S. in Anaerobic Microbiology and PhD in Food Science & Technology), Dr. Murano began her career as an Assistant Professor in food microbiology at Iowa State University in 1990, where she conducted research in food safety. In 1995, she joined the faculty at Texas A&M University as Associate Professor, leading the university’s Center for Food Safety as Director. During that time, she received research funding totaling over $9 million, and published more than 50 scientific articles and 7 book chapters in the field. In 2001, Professor Murano was appointed by President George W. Bush to serve as Undersecretary for Food Safety at the United States Department of Agriculture (USDA), the highest ranking food safety official in the U.S. government. In that role, she oversaw the policies and programs of the Food Safety and Inspection Service (FSIS), a public health agency within the USDA charged with ensuring that the commercial supply of meat, poultry, and processed egg products is safe, wholesome, and correctly labeled and packaged. This included overseeing imports of these products from other countries. At the time of Dr. Murano’s tenure, the agency counted with approximately 10,000 food inspectors who oversaw over 6,500 meat and poultry processing plants in the U.S., as well as policy development specialists, investigators, scientists, public health officers, and food safety communications experts, counting with a budget of about $1billion. Notably, Dr. Murano represented the U.S. government at the Codex Alimentarius Commission meetings, as well as other food safety international meetings. As a result of her leadership regarding food regulation and enforcement, FSIS reached the Centers for Disease Control’s Healthy People 2020 goals of reducing foodborne illnesses six years ahead of schedule, and saw a dramatic decline in outbreaks of foodborne illness, and in recalls of meat and poultry products due to pathogen contamination. In 2005, Dr. Murano returned to Texas A&M, where she was appointed Dean and Vice Chancellor of Agriculture and Life Sciences, the largest such program in the nation. During her tenure, she reversed the declining enrollment in the College, secured increased funding from the state for the agriculture agencies, and rebranded the agencies to better reflect the important role of agriculture in the life sciences. 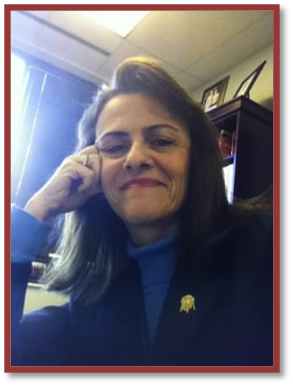 In 2008, Dr. Murano became the first woman, and first Hispanic president of Texas A&M University. Her initiatives resulted in an increase in state funding, remodeling of the Memorial Student Center and Military Walk ahead of schedule, securing funding for the construction of the Agriculture and Life Sciences buildings, double-digit increases in enrollment of minorities, the development of the first-ever academic master plan, all resulting in the rise in the university’s rankings by U.S. News & World Reports from 24th to 21st among public universities during her tenure. Since June of 2012, Dr. Murano has been serving as Director of the Norman E. Borlaug Institute for International Agriculture at Texas A&M University, which conducts development projects to lift small farmers out of poverty and hunger in Asia, Latin America, Sub Saharan Africa, and the Middle East. In addition to her teaching and research duties, she serves on the Board of Directors of the International Livestock Research Institute (ILRI), the International Life Sciences Institute (ILSI) for North America, the Food Processors Institute Foundation, Food Safety Net Services, and the Hormel Foods Corporation.